Bruce Decker (piano, organ, synth, harmonica, trombone and guitar) has probably forgotten more songs than many area musicians have ever learned. Of course, after gigging for 40+ years the forgetfulness is bound to happen eventually. Starting on piano at age five, Bruce was soon playing organ at Blessed Sacrament Church in Syracuse, NY for evening services under the direction of Art Stasko, his piano/organ teacher and resident organist for the church. “Mr. Stasko taught me all the basics that a keyboardist would need to become a professional musician, including sight reading, music theory and ‘fake’ playing,” recalls Bruce. “He stressed the classics as well as classical technique, and besides my immediate family was the most influential person in my life musically”. Soon after starting high school the siren song of rock ‘n roll grabbed hold and Bruce formed his first band with several of his friends. “We were very green and not very good but my folks let us slide over the dining room table so we could fit the drums and amps into the same room as the family organ. Our signature tune was ‘Light My Fire’ by The Doors. That was one of the first songs that I ever learned ‘by ear’ and my parents loved it. I think they were being kind”. Bruce recalls playing for his classmates’ senior year of high school as a high point that still stands today. “We had been playing out for three years. I was definitely not one of the ‘cool’ kids; actually I was one of the A-V geeks. People could not believe it was me up on stage playing these real cool songs by the artists of the day (Zeppelin, the Who, Stones, Beatles, Chicago, Blood Sweat and Tears to name a few). Overnight I was no longer the weirdo of the class”. 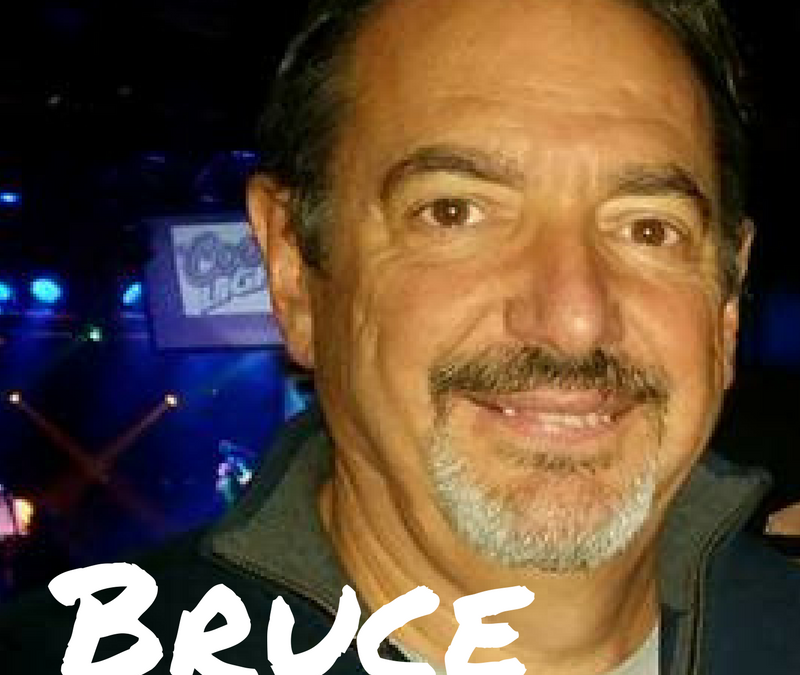 After high school Bruce attended SUNY Buffalo and changes his major at least four times, finally graduating in 1980 with a BS in Nursing. Music did not take a vacation during the UB years; Bruce actually had a band that actually rehearsed in his dorm room! “My two roommates were part of the group and we were kind of adopted by the entire dorm in general. Tom Fenton (the Fibs, Cisco Ducks, and other local bands) was the guitarist. It was fun; we played a ton of beer blasts and were together for several years.” It was during this time that Bruce was tapped by local vocalist Gary O’Boyle to fill in on piano for several gigs. Bruce has worked on and off with Gary ever since. Bruce lives in Hamburg, NY with his awesome wife and biggest fan, Pamela. Bruce and Pam have a wonderful blended family consisting of five children, two stepchildren, six grandchildren (with one on the way!) and Morgan their big old golden retriever. Hi Bruce, this is Dan Rivizzigno from Bishop Grimes. I was looking around and I came across this site. Good to see you’re still playing. And I do remember that gig senior year. You guys sound really good.